For young adults who are living on city streets, they will soon be able to access permanent housing that is poised to empower the individuals and significantly tackle homelessness in our community. Well House, a Grand Rapids nonprofit, is opening a youth house for individuals ages 18 to 24, and the new space will give young adults the chance to build their lives. Ending homelessness is a top priority for metropolitan areas throughout the country. With churches, nonprofits and individuals' joint efforts, services such as temporary housing, food pantries, soup kitchens, and showers dot key neighborhoods to alleviate the difficulties of living on the street. These services are especially important for a surprisingly large percentage of the homeless population: young adults ages 18 to 24. Aging out of foster care, kicked out of family homes or returning from juvenile detention, many of the young adults who are homeless are struggling to navigate adulthood for the first time in the midst of instability. Here in Grand Rapids, area nonprofits are rising up to meet the needs of homeless youth. With organizations like HQ, kids are finding respite from the daily struggle, with a locker to store their belongings, a hot meal, a shower and toiletries. Arbor Circle and the Hope Network seek to provide counseling. God's Kitchen and others lift spirits with daily meals. With many of these physical and social needs addressed for some, one needed item stands out from the rest: permanent housing. While shelters and supportive housing exist to serve a temporary need, those who are homeless are generally only allowed a bed under specific conditions and for a short period of time. Though shelters afford them a place to sleep and a moment of rest, even people who access this service are still missing the stability of a permanent place to call home. 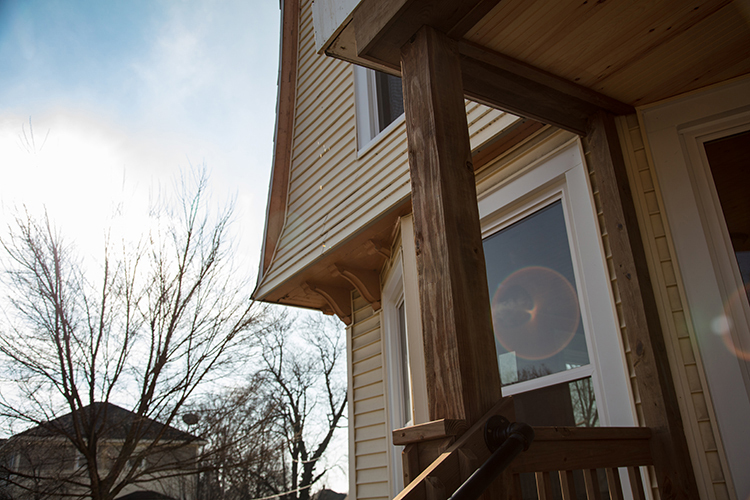 Well House, a Grand Rapids nonprofit that purchases vacant houses, renovates the properties and leases them to formerly homeless tenants, seeks to remove barriers that young adults who are homeless often face when searching for shelter. Unlike many organizations, Well House, inspired by what's known as the "Housing First" model, does not require its tenants to commit to treatment or sobriety as a precondition for housing. In this way, individuals can immediately occupy a property after receiving approval. Well House even employs its tenants in the renovating of properties, providing steady work and a chance at regular income. Identifying the need for a house specifically tailored to young adults, Executive Director Tami VandenBerg and Well House staff have recently completed renovations on a youth house for that specific slice of the population. "We know the need is there," says VandenBerg, who began working on the project three years ago. However, like most large-scale projects, "funding is always a challenge," she says. Together, she and her staff labored in bringing together passionate parties like Dyer Ives, the Grand Rapids Community Foundation and individual donors. Well House also partnered with local organizations like Arbor Circle, St. John's Home and HQ, a drop-in center for youth ages 14 to 24 who are experiencing homelessness or unsafe housing situations, and are excited for the new house to open in a few days. Though VandenBerg can't release the exact address of the home in order to ensure the safety for its future tenants, she has shared that the property is located near the southeast side, not far from Well House's offices. The home has space for five to seven people, with one or two people per room, making room for individuals, couples or parents with a young child. Catering to young adults, Well House will only accept applications from tenants ages 18 to 24. However, notes VandenBerg, "we want to be as flexible as possible." Because this new youth home is the first Well House property with an age restriction, the nonprofit will work with tenants who "age out," assisting them with finding housing at another home within the organization or other appropriate housing. With a month-to-month lease that allows tenants the flexibility to stay or go every 30 days, the rent will be $275 per month. But why is there any cost at all? Without government subsidies, Well House will be footing the bill on the property, and it still needs a bit of assistance for the cost of maintaining the home. "We do have some employment available as well," says VandenBerg, who will offer tenants the opportunity to work at the Well House urban farm or on housing renovation projects. As Well House staff continue to review applications, VandenBerg explains that the nonprofit will prioritize tenancy for those with immediate need, such as individuals who are literally living on the street and have no family members who will support them. Many of these young adults are 18-year-olds who have recently exited foster care. "That's a group that often, unfortunately, ends up on the street," says VandenBerg. Well House will also set its sights on the youth LGBTQ community, who often face homelessness due to social stigma, discrimination and rejection from family. 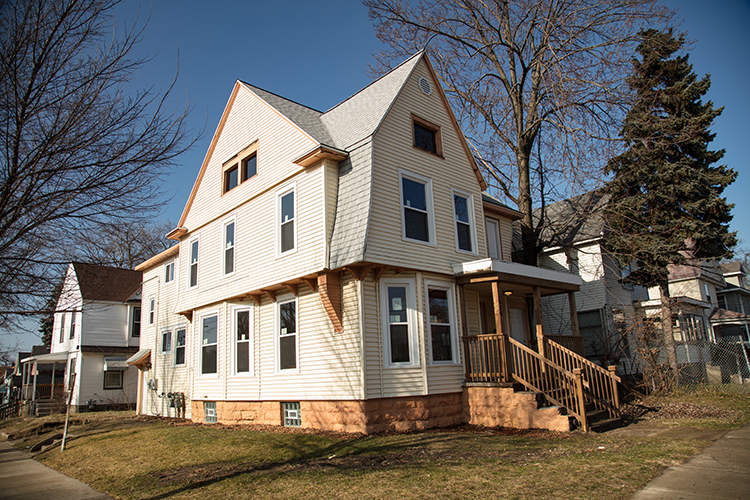 Most of all, with the new shelter, Well House seeks to provide a stable housing situation that will allow for young adults to begin piecing together the other elements of their lives. "Disruption of stability at a young age can create life-long struggles," says Well House board member Audrey Chapman. "At Well House, we believe that young people experiencing homelessness need a place to call their own so they can begin to heal, to connect to the support services they need, and to have the same opportunities for joy and happiness that we all want for young people in our community." The need to support young adults is especially time-sensitive because of the risk of this population becoming chronically homeless in adulthood. "There are five pathways to chronic adult homelessness," says HQ's 2016 Report to the Community. They are "substance abuse, mental health issues, family breakdown, housing crisis, and being young when first experiencing unsafe/unstable housing…many youth experience ALL of these pathways, which makes destabilizing even more difficult." Thus, a variety of services, from toiletries, showers and a hot meal to counseling to temporary housing and, for those who are ready, and permanent housing, is necessary in partnering with young adults who are homeless. "Communities that are doing the best work have a continuum of care specifically toward youth," says HQ's Executive Director Shandra Steininger, LMSW. In order to support young adults in the many steps it takes from being homeless to being ready for temporary housing, nonprofits must do their best to understand each individual. "That means doing the hard work and being relational," adds Steininger. Part of the relational element that makes Well House's new house particularly supportive is a full-time house parent that will assist with everything from tenant disputes to social and emotional conflicts. Well House has never offered such a service before, and seeks to employ the house parent to better support this unique collection of young adults. "This group can be a little bit more impulsive," says VandenBerg, adding that the house parent will aid the tenants in working through a time in their lives that can often be tumultuous, even when not facing homelessness. Though this staff member will not enforce curfews or monitor behavior, they will assist in mediation of major conflicts. "We really want to respect these adults," says VandenBerg. Part of this respect is the key to the house's permanence: tenant rights. "I think the key difference is that the youth that live there will have control," says VandenBerg. Unlike temporary homeless shelters, where "people can just be asked to leave at any time," she says, tenants at the youth house will enter into a legally binding lease, holding both themselves and Well House responsible to the terms. If the nonprofit decides that a particular tenant should no longer live at the house, they would have to undergo a legal process and state firm reasons for the dispute. With this structure, tenants are guaranteed protection from the law, as well as a practice in future lease agreements. Putting together many pieces of the puzzle: physical and emotional needs, financial responsibility, potential employment, tenant rights, individualism, family backgrounds, sexual orientation and gender identity, Well House and its partner nonprofits seek to provide a simple pathway to stability: a home. Behind a locked door, with a legally binding contract, and with the guarantee of at least a month to decide if the youth house is indeed a good place to stay, young adults will have a chance to build their lives. "This is an important step for Well House, and it is a start for a much larger need for youth housing in our community," says Well House Board Member Cailin Kelly. "We are glad that we are able to raise awareness regarding this need so that even more community partners will be motivated to get involved." As Well House continues to partner with other Grand Rapids nonprofits in the goal of ending homelessness, their focus on the young adults in this population require a variety of services, steps and relationships to get it right. "We have to have options so youth aren't sleeping on the street," says Steininger. With city inspections approved just last week and Well House still searching for qualified applicants to becoming tenants of the new home, their work has just begun. "We plan to continue to raise awareness, and would love to see an end to youth homelessness in Grand Rapids in the nearer, rather than later, future," says Kelly.